Maida Withers, a professor of dance who has worked at GW for 53 years, instructs dancers during a rehearsal. Maida Withers can usually be seen with her red lips curled in a smile teaching students choreography. But what could easily be a typical dance class instead has students performing improvised routines on the steps of the Lincoln Memorial or in Kogan Plaza on a balmy afternoon because of Withers’ innovative teaching style. 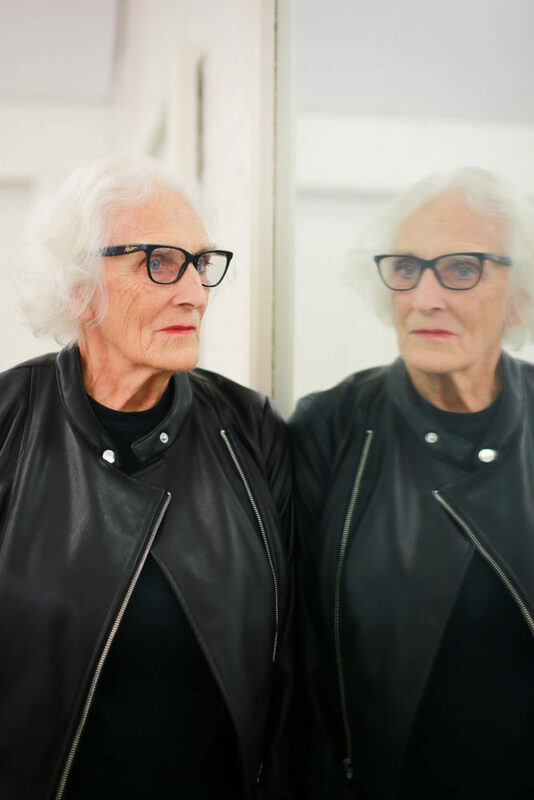 Withers, a professor of dance, has revolutionized the dance program in her 53 years working at GW while running her own dance company, Maida Withers Dance Construction Company, at the same time. Students said although she is just one professor teaching one to two classes each semester, Withers holds “the entire weight” of the program. Since her start at the University, Withers was instrumental in starting the master’s degree program in dance and is an innovator in the postmodern dance style of the 1960s, crafting more than 100 works with globally recognized artists from Japan, Korea and Ukraine. Students said Withers has cut up students’ clothes during class exercises and made dancers jot down and then move to their own words sung by another student. Withers said her unorthodox practices may confuse some students who are classically trained, but her work strives to get dancers to see themselves as individuals. Maida Withers, a professor of dance, has revolutionized the dance program in her 53 years working at GW. 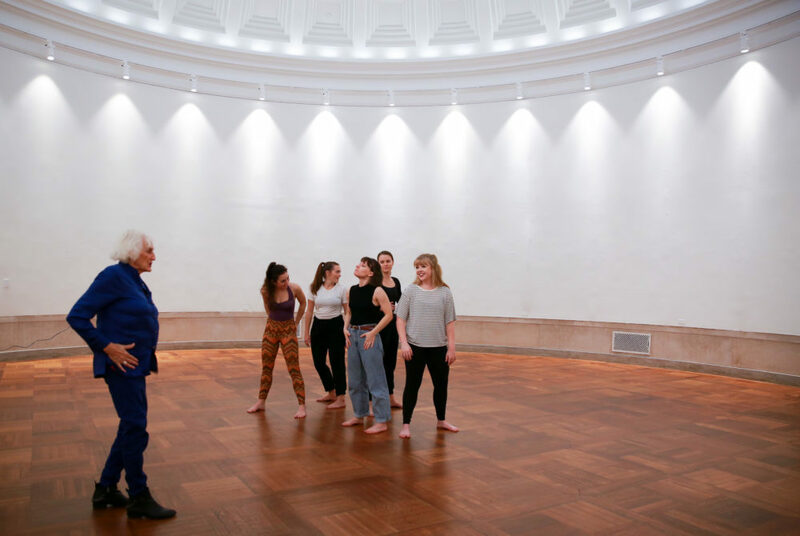 Withers organized the performance “QUINT” Friday at the Flagg Building rotunda, where her Dance Composition class of three sophomores and two juniors performed solos of their own choreography for the first time in a public setting. Madelyn Sell, a sophomore studying political communication and dance, said her solo performance Friday was “more up-close and personal” than performing in her usual practice space at Building J on campus. She moved to a mellow piece of music, using the floor to flow through many acrobatic movements. Berkley Lane, a junior double-majoring in dance and environmental studies, also performed at the “QUINT” performance and has taken a class with Withers every semester since the spring of her freshman year. Lane started dancing at age 2, but her years of “baby ballet” never prepared her for the new ways she’d appreciate dance with Withers, she said. She said she values Withers’ mentorship as a “staple” in the department and a dedicated professor, who is always the first person in the office and stays until the last rehearsal. Withers started dancing in fourth grade and taught her first classes at age 12 in a small town in Utah, and hasn’t stopped moving on stage and with her students since. She graduated from Brigham Young University in a dance program she helped launch at the school – her first time developing a curriculum. “I honestly think I was born dancing,” Withers said. Her career at GW began when a friend asked Withers to cover her leave of absence teaching dance, but she said her plans never included becoming a professor. But despite the path not initially being on her agenda, Withers said her relationship with students “is one reason I’ve always stayed at GW.” While trends and technology have changed during her decades at GW, she said the students’ passion and creativity have remained constant. “The generational differences definitely show in how they want to move,” Withers said. Alexandra Pinel, who graduated in 2011 with a degree in dance and art history, said in an Experimental Dance class, Withers made her students choreograph everywhere but the dance studio, leading Pinel to craft a solo routine in a bathroom stall. One male dancer in the same class was giving his all, leaping and turning between two public showers, when his nose began to bleed, Pinel said. “Maida brought us in a zone of performance that I don’t think in any other classroom exists,” she said. Withers said she believes the University is progressing in its emphasis on the arts as a valuable institution, but she hopes the future will make the arts more of a priority.